As a laboratory leader, Dr. Kamal has a successful track record of growth with emphasis on quality and communication between pathologists and clinicians. He held the Chief Medical Officer position at PLUS Diagnostics and was successful in developing a national GI pathology program during his tenure. He was responsible for a team of 27 pathologists, established standard practice guidelines and the quality program for two separate facilities on the East and West coast. Prior to PLUS Diagnosis, Dr. Kamal served as the founding Medical Director for the Dianon systems facility in Los Angeles, and developed a laboratory program to support GI and dermatology services in California. Dr. Kamal has 20+ years as a GI pathologist with a tremendous amount of experience in the laboratory industry. He serves as an Assistant Clinical Professor of Pathology at UCLA, is licensed in 14 states across the nation, and has an extensive background as executive medical director in successful laboratory programs across the country. After obtaining his medical degree from Cairo University School of Medicine, Dr. Kamal completed a pathology residency training at Harbor UCLA and GI Pathology fellowship at UCLA Medical Center. He is an experienced speaker and has been involved in lectures both nationally and internationally. He is the recipient of the Presidential Poster of Distinction Award, presented at the American Association for the Study of Liver Diseases annual meeting. 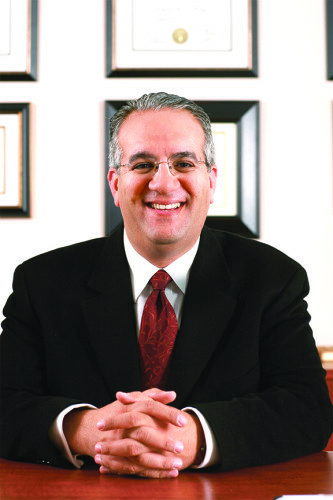 David began his career in forensic medicine, with the State of Connecticut Medical Examiners’ Office. He worked for, and received his training at Yale University, School of Medicine in New Haven, Connecticut, from 1993-1997. He also studied abroad at the University of Heidelberg, Germany with Dr. Gunther von Hagens, renowned for his plastination and “Body Worlds” exhibits. Upon return, David re-opened the Plastination Laboratory at Yale. Since leaving the University in 1997, David has had extensive experience in both Autopsy and Surgical Pathology. He has for the last several years provided Locum Tenens Pathology services nationwide at several institutions, including Vanderbilt University, Cedars-Sinai Pathology, the Texas Medical Center and many large community hospitals. His areas of interest are gastrointestinal pathology, diseases of the breast and transplant surgery. He is certified by the American Society for Clinical Pathology.